(1)REARBRAKE DISCS SET(2). 2)REARBRAKE PADS SET(4). You are obliged to take reasonable care of the item. PART INFORMATION. We will work to resolve any issues and assist in anyway that we can. Brake Discs and Pads. Position: Rear Axle. Width (mm): 55. Length (mm): 114. Thickness / Strength (mm): 14.6. Height (mm): 67.6. Part Number: VAPADB3586. Minimum Thickness (mm): 8.5. Bolt Hole Circle ( mm ): 109. Brake Discs and Pads. Position: Front Axle. Minimum Thickness (mm): 22. Thickness / Strength (mm): 16. Our Part No's / OE PART NUMBER VAP0461BK-G. Part Number: ADC1015V. Brake Pads. Fitting Position: Front Axle. Brake System: #. Thickness / Strength: 16 mm. Our Part No's / OE PART NUMBER VAPADB1581-G. Width 1: 50 mm. Other Information. Brake Pads. Fitting Position: Front Axle. Brake System: Lucas. Thickness / Strength: 16 mm. Our Part No's / OE PART NUMBER VAPADB31746-G. Other Information Width 2: 59 mm. Width 1: 50.0 mm. Brake Pads. Fitting Position: Rear Axle. Brake System: #. Our Part No's / OE PART NUMBER VAPADB3586-I. Other Information Width 2: #. Width 1: 55 mm. 4x Scheibenbremsbelag für die Vorderachse. Bremsbelagsatz, Scheibenbremse. SSANGYONG REXTON (GAB_) 2.3 RX230 4x4 05.02 - 110 150 2295 Einbauort Vorderachse 8251-AAH. SSANGYONG REXTON (GAB_) 2.7 D 4x4 05.06 - 137 186 2696 Einbauort Vorderachse 8251-ABF. SSANGYONG MUSSO SPORTS. KIT PEINTURE ETRIER DE FREIN ORANGE FOLIATEC. COULEUR: ORANGE. KIT DE PEINTURE D'ETRIER DE FREIN. - Un pot de peinture 150 gr. SSANGYONG MUSSO SPORTS. KIT PEINTURE ETRIER FOLIATEC DE FREIN JAUNE. COULEUR: JAUNE. KIT DE PEINTURE D'ETRIER DE FREIN. - Un pot de peinture 150 gr. SSANGYONG MUSSO SPORTS. KIT PEINTURE ETRIER DE FREIN NOIR FOLIATEC. KIT DE PEINTURE D'ETRIER DE FREIN. 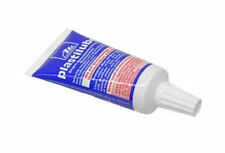 - Un pot de peinture 150 gr. Le KIT Complet Comprenant. SSANGYONG MUSSO SPORTS. KIT PEINTURE ETRIER DE FREIN BLANC FOLIATEC. KIT DE PEINTURE D'ETRIER DE FREIN. - Un pot de peinture 150 gr. COULEUR: BLANC ( WHITE). SSANGYONG MUSSO SPORTS. KIT PEINTURE ETRIER DE FREIN ROUGE FOLIATEC. KIT DE PEINTURE D'ETRIER DE FREIN. - Un pot de peinture 150 gr. COULEUR: ROUGE. DAEWOO KORANDO 2.3 À part. DAEWOO KORANDO 2.9 D À part. DAEWOO KORANDO 2.9 TD À part. DAEWOO KORANDO 3.2 4X4 À part. DAEWOO KORANDO CABRIOLET 2.0 16V À part. DAEWOO KORANDO CABRIOLET 2.3 À part. Ssang Yong Musso Sport 4WD. 1x Bremsbelag Satz vorne. Wichtig vor dem Kauf. Check the part number. (1)AvantDISQUES DE FREIN SET (2). Numéro d'immatriculation du véhicule. 2)AvantPLAQUETTES DE FREINS SET (4). COÛT DE £ 5. (1)FRONTBRAKE DISCS SET(2). 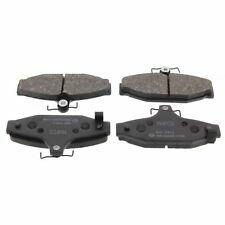 2)FRONTBRAKE PADS SET(4). You are obliged to take reasonable care of the item. PART INFORMATION. We will work to resolve any issues and assist in anyway that we can. Full Vehicle Details. SSANGYONG MUSSO SPORTS. KIT PEINTURE ETRIER FOLIATEC DE FREIN ROUGE MAT. COULEUR: ROUGE MAT. KIT DE PEINTURE D'ETRIER DE FREIN. - Un pot de peinture 150 gr. SSANGYONG MUSSO SPORTS. KIT DE PEINTURE D'ETRIER DE FREIN. - Un pot de peinture 150 gr. SSANGYONG MUSSO SPORTS. KIT PEINTURE ETRIER FOLIATEC DE FREIN BLEU RS. COULEUR: BLEU RS. KIT DE PEINTURE D'ETRIER DE FREIN. - Un pot de peinture 150 gr. Brake discs. Bolt Hole Circle ( mm ): 109. Position: Front Axle. Other Information Number of Holes: 6. Number of Bores: -. (1)ArrièreDISQUES DE FREIN SET (2). Numéro d'immatriculation du véhicule. 2)ArrièrePLAQUETTES DE FREINS SET (4). COÛT DE £ 5.